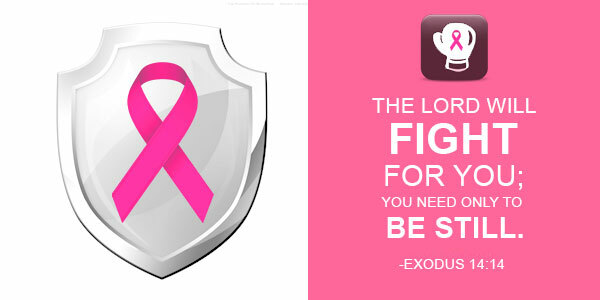 Sail on insurance | Get Insured to stay Secured » Can breast cancer survivors qualify for life insurance? Can breast cancer survivors qualify for life insurance? One in eight woman is supposed to suffer from breast cancer during her lifetime. At the same time, fortunately, death rate due to breast cancer has been decreasing since 1989, according to Breastcancer.org. Previously, life insurance wasn’t available for breast cancer patients. However, nowadays, due to better treatment options and higher survival rates, many life insurance companies are coming forward and revising their policies to offer coverages to breast cancer survivors. Qualifying for life coverage after surviving a breast cancer is not easy. Yet it can be done. Here are some ways how you could go about doing it. Get in touch with a good agent: Which life insurance policy is best fitted for your particular condition is a very critical thing to determine; moreover when you are a breast cancer survivor. If you have an agent, he will spend time knowing about your specific situation, your health, and your expectations from the life insurance policy. He or she will also help you understand the pros and cons of each life insurance policy for which you qualify. Meet many agents before finalizing with someone. Try to choose someone who specializes in life insurance and have decent experience in the industry. It’d be better if that person has other breast cancer survivors as clients. Your health information: Insurance companies will want to know your age at the time of diagnosis, your menopausal status, your family’s health history, whether or not you were an alcohol, tobacco or drug addict; and if you had any major health problems in the past. Your cancer related information: The company will want to know many things about your cancer, including, the stage you were in, your age at the time of diagnosis, whether it metastasized or not, what was the size of the tumors, if the lymph nodes were involved, and any recurrences. You can either get these information from your medical documents, or can retrieve from your doctor. Your treatment information: Make sure you include the kind of treatment you underwent (like chemotherapy, surgery etc) in your information. Also the duration of the treatment, the frequency of the treatments and date of your last treatment. Know about the waiting periods: You may not be eligible for life insurance if you are a very recent breast cancer survivor. You need to know the right time to apply for life insurance in order to avoid any kind of denial. Though different insurance companies will have specific types of requirements, the general rule of thumb is that if you’ve been cancer free for 3-5 years after surviving stage 2 or 3 breast cancer, you’re eligible for a policy. However, if you had stage 4 and you survived, most companies would need you to be free of the disease for at least 10 years or more. Stay in touch with the underwriting guidelines: Breast cancer survivors usually used to wait longer than they do today to get insured, and even before that, most cancer survivors didn’t qualify for life insurance. However, as the time limit decreased in past, chances are there that policies may change in future too. So don’t give on on getting a policy just because of the waiting periods. Stay notified of the latest changes.